At Ekya, we believe in delivering exemplary educational content. 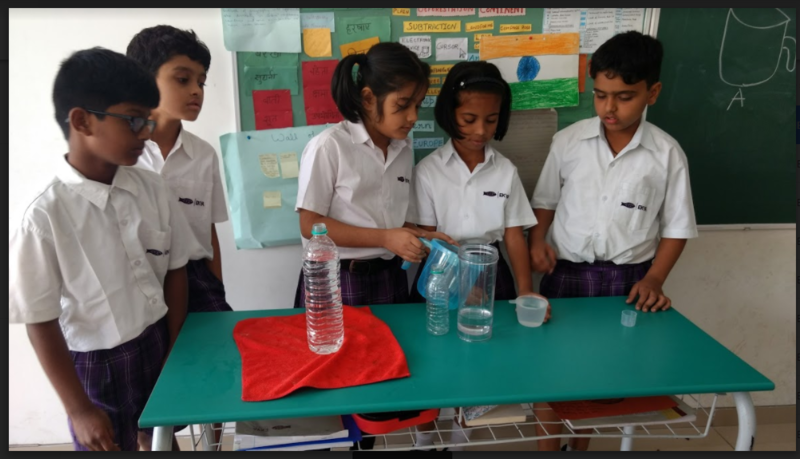 Designed with thought and care by our in-house curriculum team, the Ekya curriculum is globally competitive, on par with the international frameworks and modelled after standards used in schools around the world. 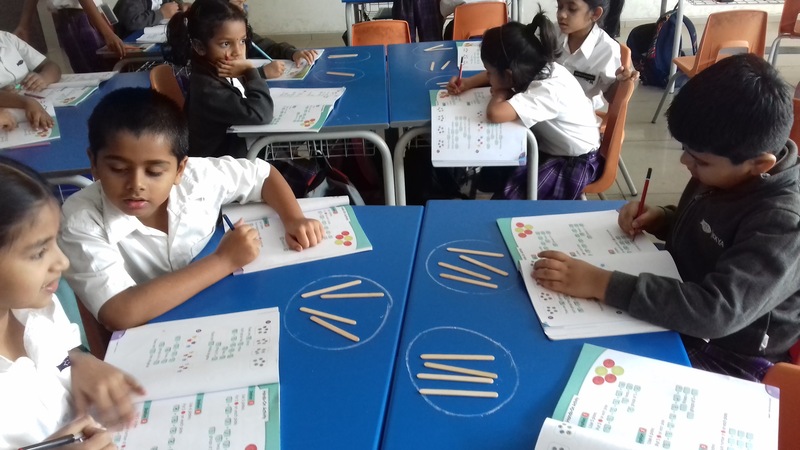 In this feature of Understanding the Ekya Curriculum, we are joined by Ms. Supriya Punyamurthula, who engineers our Mathematics curriculum at the Ekya Learning Centre, as she takes us through the idea behind Singapore Math and why we use it in our Mathematics learning program. Singapore Math refers to the teaching methodology and curriculum of Mathematics imparted to children from Kindergarten to Middle School. It has been coined after the country’s consistent top ranking on an international assessment on student achievement called Trends in International Mathematics and Science Study (TIMSS). As of its latest reports, TIMSS ranks Singapore at number 1 – higher than USA, UK, European countries and its South-Asian neighbours. What makes Singapore Math special? Singapore Maths is based on Jerome Bruner’s learning theory that advocates the Concrete-Pictorial-Abstract approach. 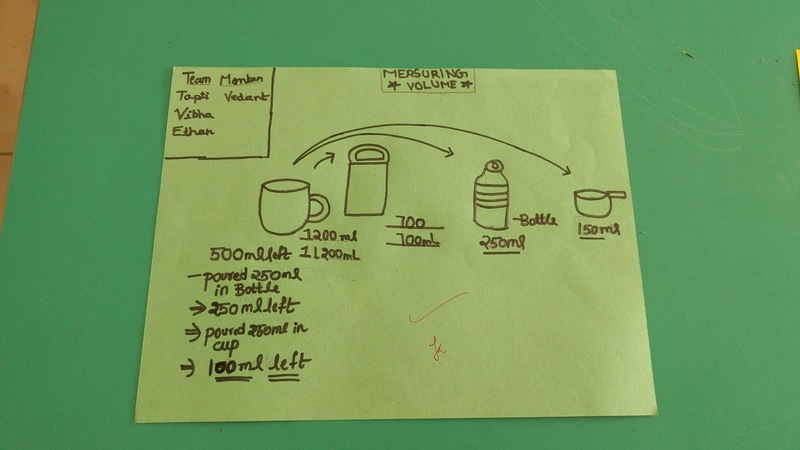 In this approach, ideas are introduced using concrete materials, a pictorial representation follows and finally students engage with abstract symbolism. Under Singapore Math, the difficulty of a concept being taught is increased in levels, grade after grade to build a stronger foundation. 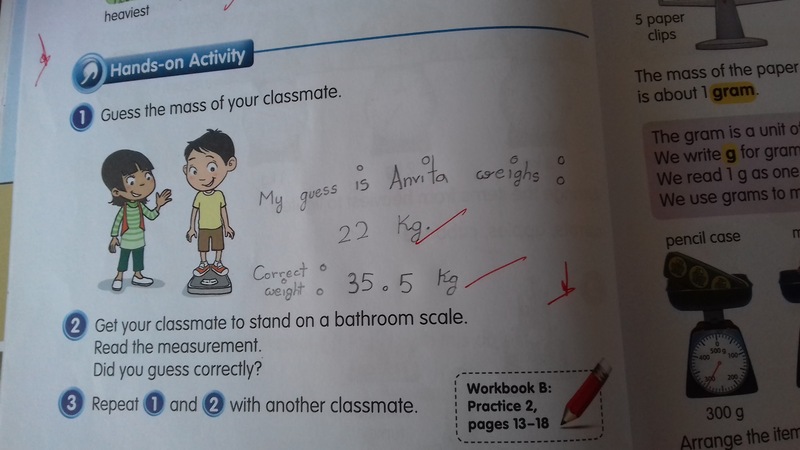 Schools all over the world are adapting to this methodology, with Singapore Math textbooks and workbooks featuring in their core curriculum. 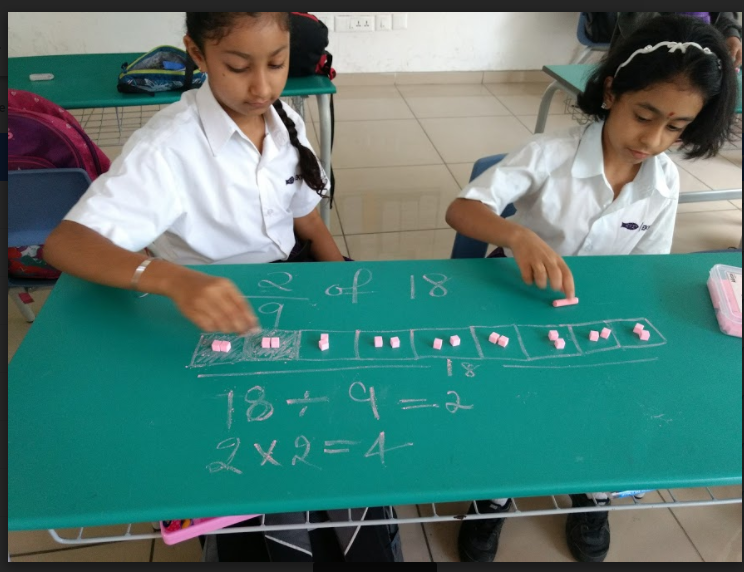 While conventional route of math instruction relies on drilling and memorization of many skills each year, Singapore Math focuses on children not just learning but also truly mastering a limited number of concepts each academic year. The goal is for children to perform well because they understand the material on a deeper level; they are not just preparing for an exam. The sequence of topics in Singapore Math has been carefully constructed based upon child development theory. The beauty of this approach is that the majority of students are well prepared to tackle increasingly difficult topics, such as fractions and ratio, when they are introduced in the third through fifth grades. Those students are also then typically ready for algebra and geometry in middle school. Singapore Math relies heavily on visualization, which is often neglected in the conventional teaching of the subject. 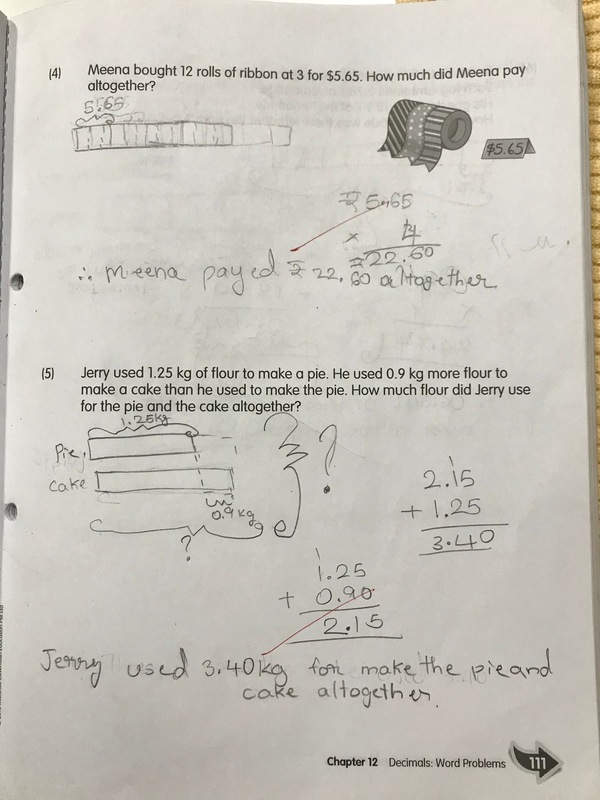 Students also learn to use model drawing to solve worded problems – instead of trying to picture the problem in their heads, then writing out the equation to solve it, students in Singapore Math diagram the elements of the word problem. In the traditional approach of teaching, one where a topic is revisited in the course of months or years, or later grades and is taxing for both students and teachers. Singapore Math aims to eliminate this task by building a strong foundation for the learning of the said topic. As part of their group activity, students of Grade I use ice-cream sticks or raw pasta to put equal amounts in each of the circle. This enables them to understand the concept of multiplication. 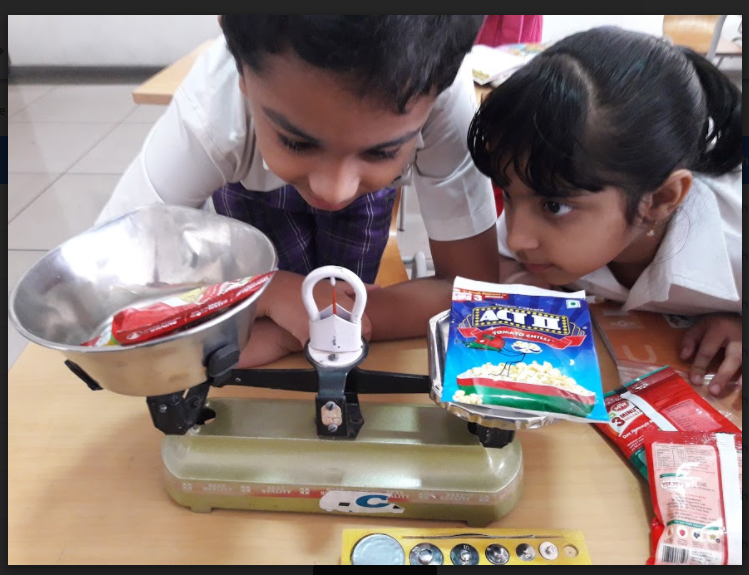 Our Grade III students learn to measure the capacity of containers of various sizes through personal experimentation. Bar model is explicitly taught beginning in Grade II and extending all the way to secondary algebra. 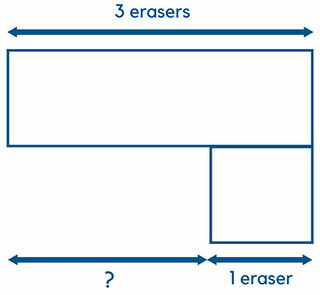 It is a method of representing word problems and number relationships. 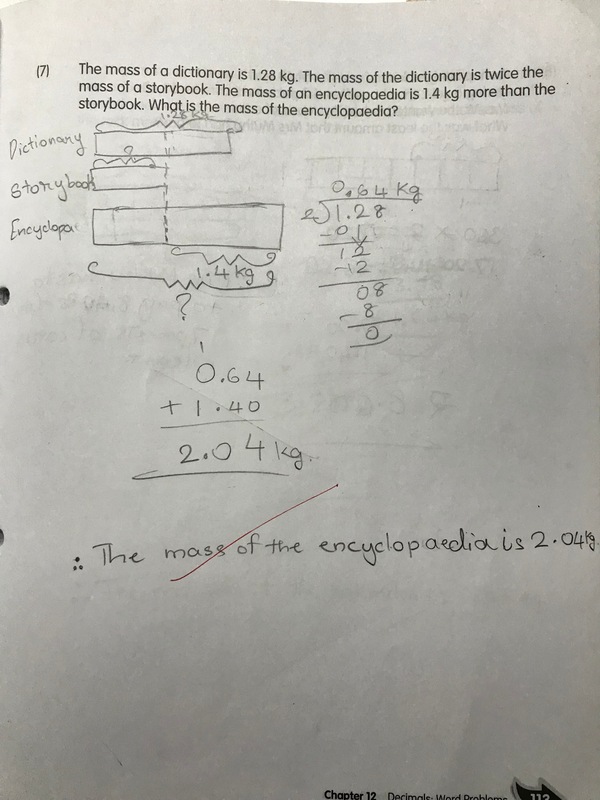 Students are taught to use rectangular bars to represent the relationship between known and unknown numerical quantities and to solve problems related to these quantities. 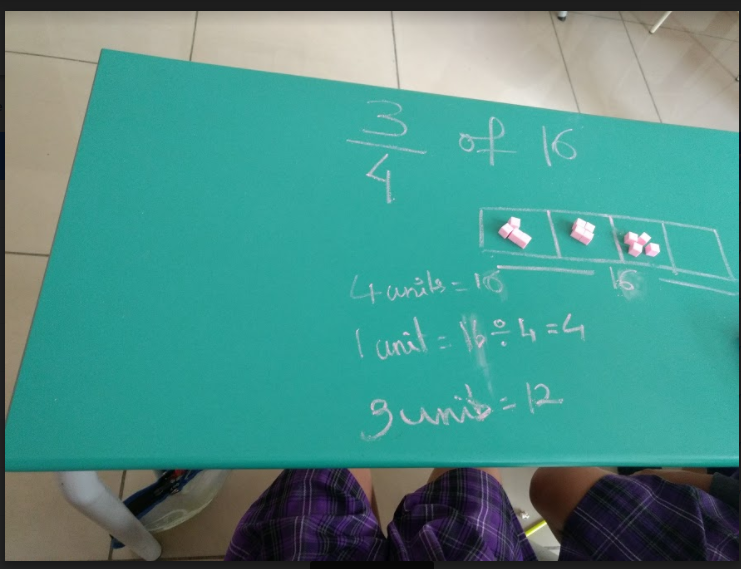 Students of Grade IV use the four mathematical operations and solve the problems in the Decimals chapter using the bar model. 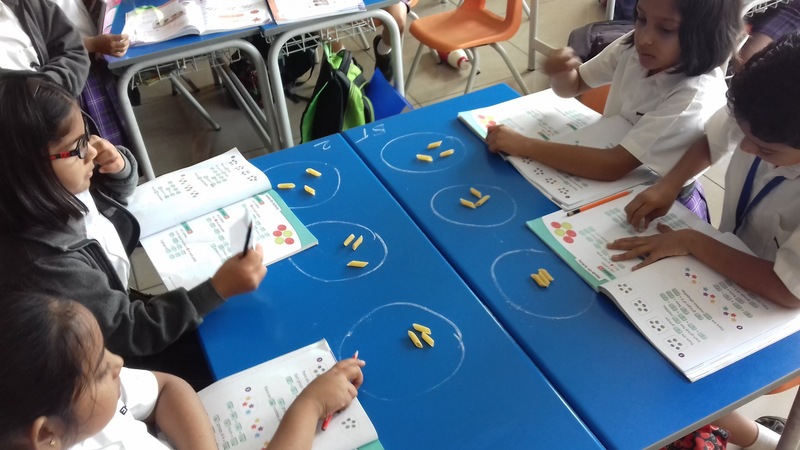 While parents would love to sit their kids through learning tables, they might naturally resist the route taken by Singapore Math, especially after they remember how they tackled a concept like fractions or geometry. Looking back at how we learnt our Math, importance and marks were both rewarded only for getting the correct answer. With Singapore Math, we’re looking to understand each step in the process of getting the answer- our students should be able to explain how they have arrived at their final step. That’s a big thing that parents need to understand. We may want our children to get the right answer, but we also want them to know why it is the right answer. For our readers who are interested in finer details of the techniques used in this methodology, click here for a quick guide.